Green Street was developed in the early part of the twentieth century. In 1918, residents of the area presented a petition to City Council for an electric light to be placed at the corner of Green Street and Ambrose Street. It is not known however if it was installed. The eastern section, closer to Spring Park Road is the oldest. The Spring Park creek ran through this area and a wooden sidewalk with a rail allowed pedestrians to walk over it. The residents were very pleased in 1947 when the City widened Green Street and a culvert was replaced under the street eliminating the need for the wooden walkway. Green Street has a variety of architecture but one house that stands out is the A.L. 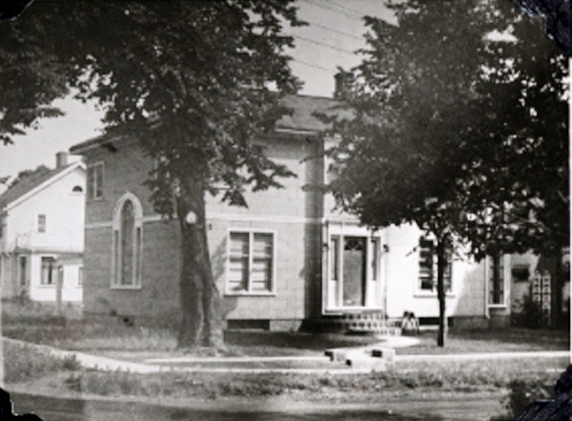 Wright House at the corner of Green Street and Greenfield Avenue. Charlottetown businessman, Austin L. Wright and his family secured the services of talented architect, James Harris to design their new home. One of few stucco houses in Charlottetown, it was built in approximately 1941. 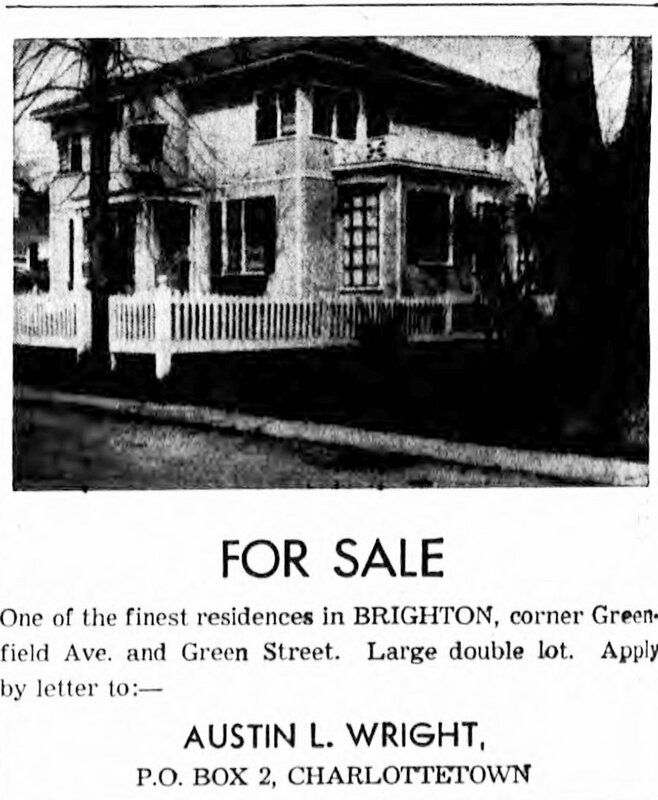 In 1956, the house was being offered for sale. Newspapers reveal that at least two veterans hailed from Green Street. On June 18, 1945, when the first large group of 27 veterans and nursing sisters were returning to Charlottetown, among them was the son of Mr. and Mrs. John McInnis of 89 Green Street. Signalman, Charles McInnis, who had enlisted in 1942, trained at Beach Grove Training Centre in Charlottetown, as well as Ontario and Scotland before finding himself in Germany in February 1944. While helping lay signal wire, he stepped on a landmine and lost both legs- one below the knee and the other several inches above. His brother, John McInnis, had also enlisted early in the war and was still overseas when the issue was printed. Tragedy struck the street in 1948, when a fire engulfed the three room house at 98 1/2 Green Street. Two year old Fredericton Somers died in the early morning fire.